Battery powered lawn tools have been cursed by the stigma of being weak on power. However, cordless or battery operated leaf blowers have advanced in recent years to where they do not fall short on power. Many of the best cordless leaf blowers are on par with corded or even gas powered blowers. Outside of power, cordless leaf blowers allow you to eliminate the hassle of fueling the blower with gasoline and dealing with the nasty fumes associated with gas powered yard tools. Additionally, cordless tools tend to be much quieter than gas powered blowers. Your ears and neighbors may thank you. Because a cordless leaf blower runs off of a battery, there is no need to worry about emissions or fueling the blower. You simply charge the battery and it is ready to go. The leaf blower will continuously operate until the battery requires a charge. Our below list highlights the best cordless leaf blowers on the market. 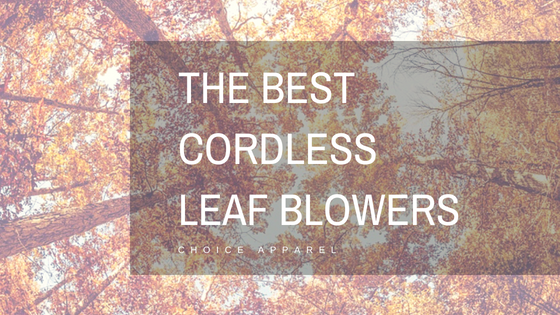 We our confident that our selections will provide you with some solid choices to consider for your next leaf blower.Whether you are buying your first leaf blower or upgrading, it is essential that you find the best cordless leaf blower for your needs. We are here to help find the best. The Makita XBU02PT1 is an extremely powerful leaf blower that will be able to handle most residential tasks. Its 120 mph air velocity and air volume of 473 CFM makes this a solid competitor to many gas blowers. The leaf blower comes with 4 batteries. Each battery is 18 volts, but two batteries can be inserted into the blower to allow for 36 volts of power. The manufacturer indicates that you achieve approximately 28 minutes of run time using the unit at mid-speed with the two batteries. Admittedly, this is not an amazingly long run time. However, when you consider the leaf blower comes with 4 batteries, you are essentially getting almost an hour of run time with minimal interruption. The charger that is included with the purchase allows the user to charge two batteries at once. The charge time is about 45 minutes. The 92 MPH maximum air velocity may seem wimpy. However, when you consider that 92 MPH is coming out of a very large tube size, this leaf blower is actually amazingly powerful when you also factor in the 480 CFM. The approximate run time for the various settings are low 60 minutes, high 18 minutes, and boost 10 minutes. Like the other leaf blowers on our list, you may want to consider buying an additional battery if you plan on consistently running this blower on boost or even high. The size of this blower gives an appearance that it might be burdensome to carry around for more than a few minutes. However, the whole unit (including the battery and tube) weighs approximately 7.5 pounds. Most user will be able to manage handling this blower for a lengthy time without being bogged down. Without a doubt, this is one of the best cordless leaf blowers you can get on the market. We would suspect that most people will not be disappointed by this blower’s power and its ability to handle numerous outdoor tasks. This very popular Greenworks cordless leaf blower is extremely lightweight at 3.3 pounds, but it is surprisingly powerful for its size. It offers 150 mph air velocity with 135 cfm, which is ample power for light to medium duty tasks. You can adjust the speed using a variable speed dial built into the handle. With a flick of a finger you can easily adjust the speed up and down as needed. There are 6 speed settings making this leaf blower very versatile. At the tip of the blower tube, there is adjustment for air flow. It can be set to high or low depending on how you want to control the power of the air flow. Run time is up to 35 minutes and to fully charge the battery it takes about an hour. Given this information, you may want to consider getting an additional battery if you expect to get a lot of use out of this leaf blower in one setting. Greenworks manufactures many other tools that use the same 40V battery as this leaf blower. The battery is interchange between all Greenworks products that use this battery. There are currently over 40 other tools that use this same battery. If you have or plan on buying additional 40V Greenworks products, this leaf blower may be ideal for you. Overall, this is a solid and relatively affordable leaf blower. If you plan on routinely tackling heavy-duty leaf and debris clean up, this probably isn’t the best cordless leaf blower for your needs. 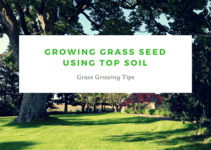 However, it does a terrific job with most general task around a standard yard. The Worx WG591 does not skimp on power and will take care of most intended tasks around the yard. It features a turbine fan engine, which produces 60 to 125 mph air velocity and 225 to 465 cfm. This cordless leaf blower might appear heavy to some, but it is only 8.1 pounds. Most people will be able to easily maneuver this blower with one hand using the ergonomic handle without easily tiring. A 57 volt battery and charger come with this leaf blower. The charger takes approximately 90 minutes to fully charge. The run time, of course, varies based on how you use the blower. Worx does not provide a specific run time estimate on their website. However, keep in mind that one of the biggest complaints about this blower is its poor run time. Purchasers mention that it only runs for 15 to 25 minutes before a recharge is needed. We would greatly recommend purchasing an additional battery if you intend on using this blower for long periods of time. The Worx WG591 comes with a three year warranty, which speaks to the quality of this leaf blower. The Craftsman 74936 is our choice for the best inexpensive cordless blower. It provides a lot of value given its features in comparison to other more expensive products. While this Craftsman is marketed as a “sweeper”, the 135 mph air speed and 135 cfm air volume produces a nice amount of power for light jobs. You will probably want to use this primarily for tasks such as blowing grass/leaves off the sidewalk or getting debris off the deck. This blower is not your best choice for a task such as blowing huge piles of leaves. The approximate run time is 30 minutes and the DieHard battery will charge in approximately 70 minutes. The battery is conveniently interchangeable with other Craftsman 24V Max products (chainsaw, line trimmer, hedge trimmer). At 7.1 pounds, this is a super lightweight cordless leaf blower. It features an air velocity of 90 MPH (maximum speed) with 400 CFM volume of air. 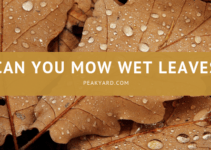 While this leaf blower isn’t necessarily as powerful as some gas powered blowers, it will do an excellent job at clearing debris from various spots around the yard. This DeWalt leaf blower is extremely quiet for a leaf blower at only 61 dBA. You can see how this dBA level stacks up against other common sounds by clicking here. Keep in mind that an average gas leaf blower has a dBA of about 65 to 75 from 50 feet with older models getting up into the 80s (source). If you plan on using other Dewalt tools, the battery that comes with this leaf blower will work with numerous other tools that use this 20V Max battery. There are over 100 products in the 20V Max line. This blower features a variable trigger speed option which conveniently allows the user to blow puffs of air for fine tuning. It also has a speed lock to allow the user to comfortable use the blower at a locked in speed. This Snapper leaf blower has solid power with 550 CFM and 130 MPH. It comes with a 5-year warranty and a 2-year battery warranty. You will get up to 40 minutes of run time with this blower. The blower is equipped with a lever that you pull back to increase the speed and push forward to decrease the speed. The included charger blinks green when the battery is charging and turns solid green when fully charged. It remains solid red when the unit is overheating and blinks red when there is a charging fault. The maximum run time the battery allows is about 40 minutes, which is very respectable. The Toro ProPlex peaks at 480 CFM and 150 MPH with the speed nozzle attached. The speed nozzle essentially narrows down the tube to concentrate the air flow. Without the speed nozzle, you are still able to get a very respectable 95 MPH. The trigger conveniently provides variable speeds. Adjacent to the trigger is a speed lock lever that allows the user to lock in their desired speed setting for a consistent flow of air. This leaf blower also has a turbo button that can be used when you need a boost for your debris clean up. Toro is known for making high-quality lawn equipment and this leaf blower is no exception. We suspect most people who buy this blower will not be disappointed by its power. We believe it rightly deserves a place on our best cordless leaf blower list because of the amazing features it offers. Do cordless battery-powered leaf blowers produces less noise than traditional gas powered blowers? Generally, yes. Many of the best cordless leaf blowers featured above have 65 or under decibels. At ear, a gas blower produces 95 to 115 decibels. What are some disadvantages to cordless leaf blowers? Run time always seems to come up as a complaint. You may only get about 10 minutes of use running a particular blower at max speed for some models. While great advancements have been made with cordless technology, cordless leaf blowers still tend to lag in power compared to gas leaf blowers. We would suggest purchasing a gas powered leaf blower if you do a lot of heavy-duty clean up. Should I buy an extra battery? If it is affordable for you, an extra battery is always nice to have handy as a back-up. This is especially true when you consider the often lackluster run times of some cordless leaf blowers. What are some other tools/safety items that I may need with my leaf blower? If you are doing leaf clean up, you may want to consider getting leaf scoops, leaf bags, and a quality rake. You may also want to considering purchasing gloves and protective eyeglasses for your safety. Do cordless leaf blowers always come with a battery and charger? No. You should carefully review the product description before you buy to verify if a battery and charger are included with your purchase. If you happen to have a battery that is compatible with a leaf blower you intend to buy, you may want to look into buying the leaf blower without a battery/charger to save money. What is CFM when referring to a leaf blower? CFM is short for cubic feet per minute. If the blower’s maximum CFM is 400, this means that the air volume exiting the blower is 400 cubic feet per minute. People are much more familiar with miles per hour (MPH) so they tend to buy a blower with the greatest MPH for their budget. However, it is very important to consider CFM along with MPH. You ultimately want a blower that produces a high volume (CFM) at a high rate of speed (MPH). Can a leaf blower be used to dry a car? It does work, but you may need to towel off the car in certain areas. You can watch a demonstration on how it is done here. How do you use a leaf blower? The below video provides a quick, but informative tutorial on how to use a leaf blower. The person in the video is using a backpack blower, but a pure handheld blower will work the same way. Here are a few things to consider before buying a cordless leaf blower. MPH & CFM: Look for the highest MPH and CFM within your budget. You want to verify that your leaf blower creates sufficient velocity and volume to handle a variety of tasks around the yard. The last thing that most people want is a leaf blower that struggles to complete even a basic task. Battery Run Time: Admittedly, even the best cordless leaf blowers do not often have a battery run time to brag about. Frankly, battery run time is something that needs to improve as cordless technology advances. 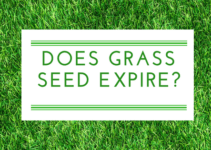 However, if you do not run your leaf blower consistently on the high setting, many cordless leaf blowers will provide a respectable run time. Be sure to review the battery’s run time before you buy. If the run time is poor, consider buying an extra battery if you intend to get some solid use out of your leaf blower. Warranty: A lengthy warranty may be a signal of the quality of a particularly leaf blower. Take the warranty into consideration when considering a leaf blower. Be aware that the battery and the actual blower may have different warranty lengths.